This was taken in September but it might as well have been taken yesterday - the weather is still glorious. 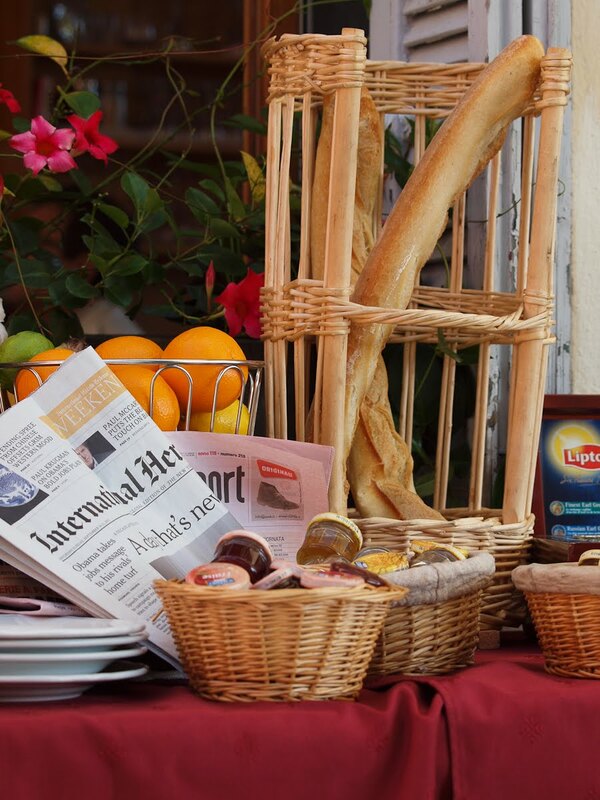 This is breakfast at Saint-Jean-Cap-Ferrat - you might say an International breakfast - with the American Herald Tribune, an Italian newspaper, a French baguette and English teabags. Looks like the Gazzetta dello Sport. Can't have breakfast without, so close to Italy! Love the baguette 'basket' Jilly. Perfect breakfast I think! Hope you have a lovely weekend.